Much was written about Fiat-Chrysler's plan to spin off Ferrari today. If mostly care about F1, I say don't worry about the Scuderia, Williams has been a public company for a while now and it does not seem like much has changed there, except that the team has gotten better. Ferrari still enjoys a "sweetheart " deal in F1. You could argue that, as the only team to continuously contest in the series since the beginning 60 years ago, it deserves it. 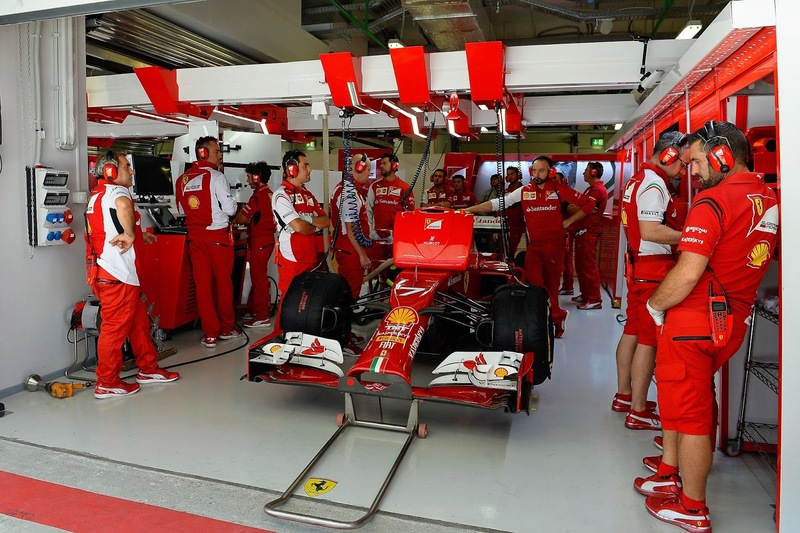 In any case, Ferrari does not lose money on F1. It's worth remembering Luca di Montezemolo had a plan to float Ferrari on the Singapore exchange at the turn of the century but FIAT at the time had a more immediate financial needs and the deal never came to pass. Here is a letter from the new Chairman Sergio Marchionne laying out his case for this move. Judge for yourself. If the fear is of a Ferrari the could become a ghost brand like Jaguar or Aston Martin, I think there is no need to panic. Maybe Fiat-Chrysler will not be Italian anymore but Ferrari will remain so because it would be nothing without that and it's masters seem to recognize that. How do you match the comment "Ferrari still enjoys a "sweetheart " deal in F1. You could argue that, as the only team to continuously contest in the series since the beginning 60 years ago, it deserves it." with your post about the F1 pyramid scheme? I would refer you to the words of the great Sranley Kubrick: http://youtu.be/KMEViYvojtY. Well, that I think it's somewhat justtified does not mean everything needs to continue as is. But I would feel confident saying that if there is money to be made in F1, Ferrari is in the best position to make it. All the teams need a chance of at least breaking even, especially the smaller teams. I presume the manufacturers see it as a marketing exercise so will have dedicated budgets. Budget caps seem the only way to level the playing field but the big manufacturers will never agree to this. Is the current F1 unsustainable? It really depends if F1 decides it needs small teams or not. Sure have only big budget players but then what happens when the next financial crisis happens and one or even two of them decide to leave? Or should the teams own the sport? but then how would new teams come in? No easy solutions are there? I am panicked. I worry about a Ferrari SUV. In light of some of the financial sagas discussed in your other threads, great to hear you can enjoy some good battles , and fender to fender racing with your wallets left at the gate.... While I am a Hamilton fan , I hope to see more parity next years as the technology matures. If you mounted a ton of cameras, got to meet the drivers , is probably watch your AER for parity alone!